Parley's Canyon, Utah—A tanker and semi-truck collided on westbound Interstate 80 in Parley’s Canyon near the Lamb’s Canyon exit on Wednesday at about 10:20 p.m. The resulting fire burned for two hours and caused a miles-long backup of traffic. The tanker was hauling 11,000 gallons of crude oil and was traveling at only 15-20 mph. It attempted to pass a semi-truck that was either stopped or moving slowly because of icy road conditions. As the tanker moved past, the semi-truck apparently lost traction and slid backwards, rupturing one of the tanker's three compartments. Park City Fire Chief Paul Hewitt estimated that 1,500 gallons of oil was consumed by flames. Emergency crews from Park City Fire District and Unified Fire Authority sent five engines, two water tankers and three hazardous materials vehicles to respond to the fire. The Utah National Guard sent a tanker specially equipped for spreading foam fire retardant. 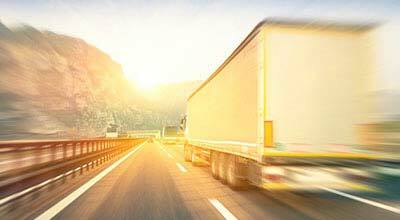 Accident investigators discovered the body of Wendell Lewis, age 67 of Maricopa, Arizona, in the cab of the burned semi-truck. 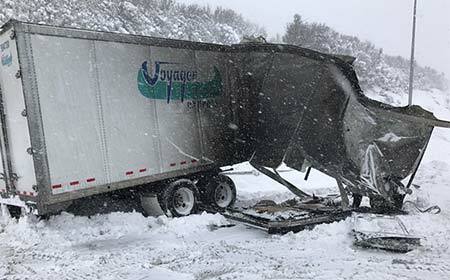 All lanes of the interstate were closed in both directions for nearly twelve hours as crews from multiple departments worked to investigate the accident and clear the wreckage. We extend our condolences to the family and friends of Mr. Lewis over this tragic loss.